Journalist Alexei Dmitriev visited the destination over a year ago and published several articles that continue to inform his readers about Mexico’s Pacific Treasure. The global positioning of the Riviera Nayarit in the tourism industry via the media continues to bear fruit. This time around the articles were published in Russia and Ukraine. Freelance journalist Alexei Dmitriev visited the Riviera Nayarit in January of 2015 during a press trip hosted by the Public Relations department of the Riviera Nayarit Convention and Visitors Bureau. Since then, he has published several articles, the last one in January 2016. “The proximity of the Russian capital of Moscow to Poland and its new flight from Warsaw to the Destination can be an excellent connection for us to welcome tourists from that region, which is one of the most populated in the world,” commented Marc Murphy, Managing Director of the Riviera Nayarit CVB. The distribution of Dmitriev’s articles has been varied. 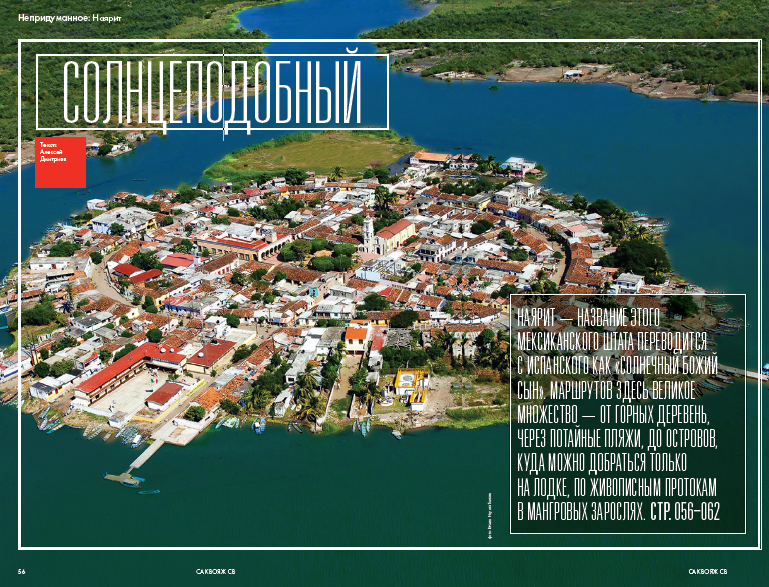 In Russian magazine Sac Voyage, a monthly with a distribution of 400 thousand issues, he wrote about the culture and traditions of Nayarit and some of its iconic attractions such as the Isla de Mexcaltitán. In Zdorovie, published for Russian speakers in the US, he published a piece on the Islas Marietas and Huichol art. This magazine has a run of 125 thousand issues in the US. TGG Luxury, a small but exclusive bi-yearly publication with five thousand issues distributed across Russia also carried one of his stories on Mexico’s Pacific Treasure. Alexei Dmitriev’s publications have even reached Ukraine via the tourism publication Total Escape. Dmitriev’s visit to the Riviera Nayarit included tours of its microdestinations including Nuevo Vallarta, Bucerías, La Cruz de Huanacaxtle, Punta de Mita, Islas Marietas, Sayulita, San Pancho, San Blas and the Isla de Mexcaltitán, as well as other beautiful locations around the state of Nayarit such as Tepic, Santa María del Oro, Jala and the Huichol community of Potrero del Palmita. 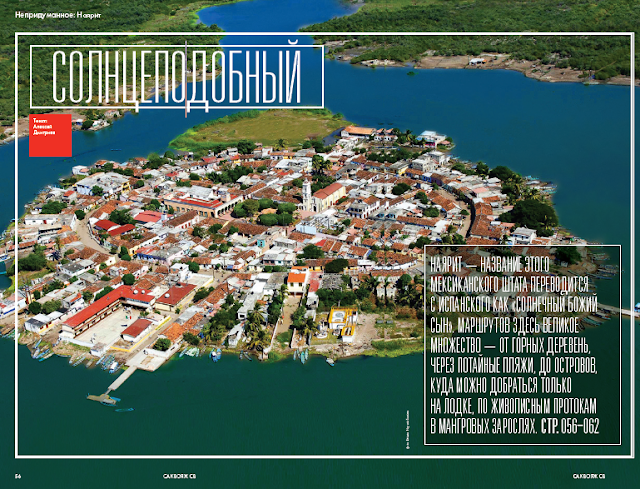 Meanwhile, the Russian edition of National Geographic dedicated to Mexico coordinated by the Mexico Tourism Board also included the Riviera Nayarit.